Read through some of our past student achievements! See what our students got up to in 2016!! Cassandra completed The Elite Makeup Course in 2015. Since then she has gone on to do make-up for photo shoots and special events. She has done make-up for Rebecca Harding numerous times and even got the opportunity to do make-up on Karlie Kloss on her last visit to Australia in 2017. Cassandra also got a job at Bobbi Brown in Melbourne CBD and is now one of Bobbi Brown's Make-up Trainers. Vanessa completed her Make-up Artist Essentials course with Elite Makeup Academy over 7 years ago. Since then she has worked on runways, photo shoots, commercials and editorial. She does weddings and special event make-up and has done jobs for Alanna Hill, Schwarzkopf, AGL, Office Works, Garnier, Fairy, Melbourne Ballet Company and more. She is currently working in the hair and make-up department on Neighbours. Jacob Stella completed the Make-up Artist Essentials course in 2013 and since then has created an amazing name for himself. He started off doing freelance work, and volunteering his time in photo shoots and runways shows. He got a job at Benefit Cosmetics and MAC cosmetics and started up his own Youtube Channel and Instagram! He is the face of NYX Cosmetics, and has become the first male star of their TV commercials. He was successfully in the Top 6 for the NYX Face Awards Australia/New Zealand in 2017. Check out Jacob's video below on how he became a Make-up Artist. Known as KYKHAIR on Instagram and KYK on Facebook. Kristina is a Melbourne hairstylist who did the Hair Styling Course for extra skills in 2011! Kristina was not running her business when she started the course but since then she has grown in so many ways, accomplished heaps and have come across a lot of people in the industry. Cassandra completed the Make-up Artist Essentials course in 2015 and since then has very quickly expanded her freelance business. She has gone on to do make-up for celebrities and models such as Stephanie Claire Smith, Lauren Phillips, Tess Shanahan, Nicole Perso and Tully Smyth. She has done make-up for The Brownlow and Logies, as well as photoshoot make-up for The Age. On top of all that she does weddings and special event make-up. There is nothing stopping Cassandra! 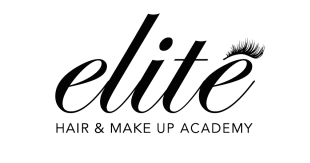 Gabby Webb completed the Elite Hair and Make-up Course in 2016 and since then has been working hard and created a great instgram and website for her freelance business. "I moved to Australia from Indonesia in 2016 and decided to join Elite Hair & Makeup Academy. Since then I've met many people in the industry and have worked in many photoshoots plus helping some local brands with their lookbooks. I am now a full time freelance hair and makeup artist. I started creating my business and social media from when I first studying at Elite and then I tried to regularly posting the content which helped me a lot to had a head start and put my name out there quicker. Justine, Nikki and Marie-Louise were very helpful and just such lovely people. Thank you for helping me and giving me confidence to start a career in the new country." Lauren completed The Elite Hair and Make-up Course course in 2013 after always having a passion for Makeup and Hair through her 20+ years doing competitive Calisthenics. She now runs her own Freelancing Hair and Make-up Company called "Lauren Kristy Creative"
"Since I opened my own business Lauren Kristy Creations which I operate weeknights and weekends and have set up a small studio at home as well as fully mobile service, I have been working with and for Sophie Knox Makeup, Glamforce, Pure Chica, Confidente Hair Salon and also my own works, which have lead me to bridal/weddings, formals, fitness shows, stage productions and portfolio shoots. This is an industry that you just never stop learning and being able to create works of art that is always so rewarding at the end when your clients look in the mirror!" Natalie Completed the Make-up Artist Essentials in 2015, and has gone on to be very successful running her own freelance business for wedding and special occasion. "Upon completion of the course I started working successfully as a professional freelance make-up artist. I have had an opportunity to work with a wide range of clients who required make-up for formals, bridal, weddings and special events. Whilst studying at the Academy I worked on developing a social media and online platform for my freelance work; and launched my website last year which helped my business immensely. Justine and Marie-Louise are great tutors, their expertise and willingness to share their knowledge has helped me to successfully enter the industry that I love!" Breanna Completed the Elite Hair and Make-up Course at the end of 2016 and she has quickly expanded her freelance makeup business "Breanna Jade Makeup", doing weddings, model shoots, hair and makeup for special occasions and also assisting the academy in different forms. "I have always loved the artistry in hair and makeup and creating different looks to suit people. The feeling of completing a job and seeing the smiles on people's faces is extremely rewarding." After completing The Elite Hair and Make-up Course, Tracey has gone on to do weddings, photo shoots and special occasions. She runs a very successful freelance business from her home town in Leongatha. "For a long time I have had a huge passion for makeup artistry and decided to pursue a career in the industry so I enrolled at Elite Academy. Since completing the Essentials class, Advanced makeup and long hair styling in 2015 I have gone on to be part of the creative talent for The Australian Academy of Modeling. I have also gone on to start my own business as a freelance makeup artist and long hair stylist called Give Me Glam and I am happy to say that I am enjoying great success." Melinda completed the Make-up Artist Essentials course in 2015 and since then has started her own freelance business. She runs a terrific Instagram page where she advertises her skills and does make-up for bridal and special occasion. Stephanie completed the Makeup Artist Essentials course in 2015 and since then she has started her own freelance business specialising in special events and bridal and runs an amazing Instagram account. "From a young age I was innately drawn to the beauty industry, in particular makeup. I took it upon myself to foster this fascination and study makeup at Elite Hair & Makeup Academy. I learnt the fundamentals from industry professionals and mixed this with self-taught techniques. Makeup is my passion; my clients are my canvas. I endeavour to enhance their natural beauty in its many forms to enable them to be the best version of themselves." Margarita completed the Elite Make-up Course in 2014, She has landed a job at MAC Cosmetics and runs a fantastic Instagram page where she shows off all her amazing work. After Completing the Make-up Artist Essentials Course in 2016, Tahlia went on to get a job at Mecca Maxima, she has had many great opportunities within Mecca and she also has her own freelance business. Katryna completed the Make-up Artist Essentials and Long Hair Styling course in 2016. Once completed she started up her own freelance business. "I’ve always liked to bring out the best in people and for me completing the hair styling and makeup essentials course was a natural progression. I love the reaction when I have finished hair and makeup on a client and their immediate ‘I love it’ from them – this for me is the ultimate achievement. I enjoy doing all different looks, but the most rewarding is enhancing a clients natural beauty. I have worked with clients for weddings, formals, debs, races, photo shoots and special occasions and have built a successful freelance business from this."